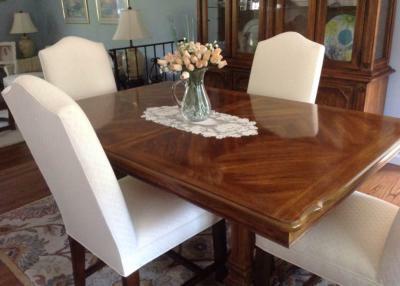 Dining table with two skirted parsons chairs used at the ends. 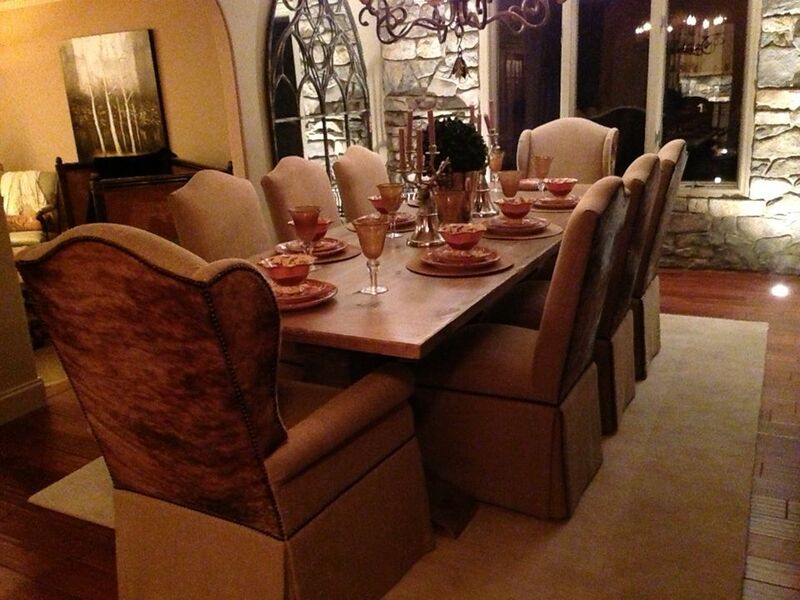 This customer sent in cowhide to use on the outback and wings of this modified Hemingway Chair. 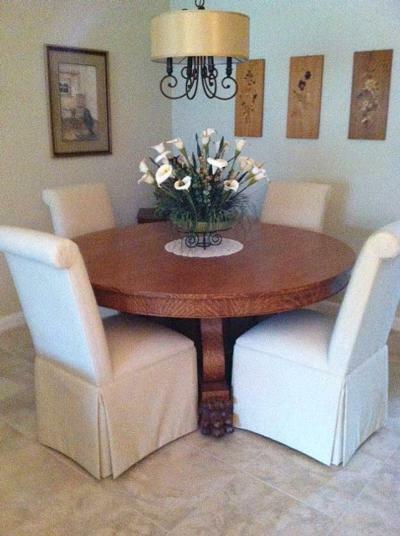 The chair has been customized by adding a full-length skirt over the finished legs. 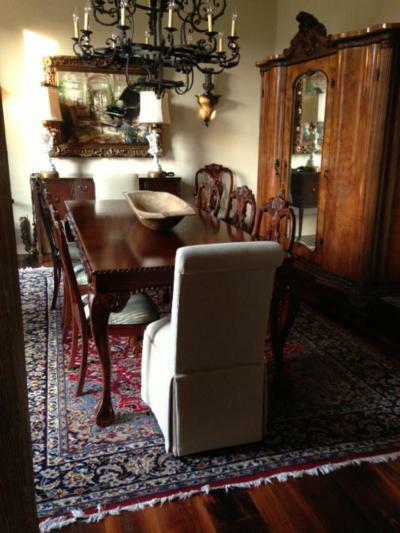 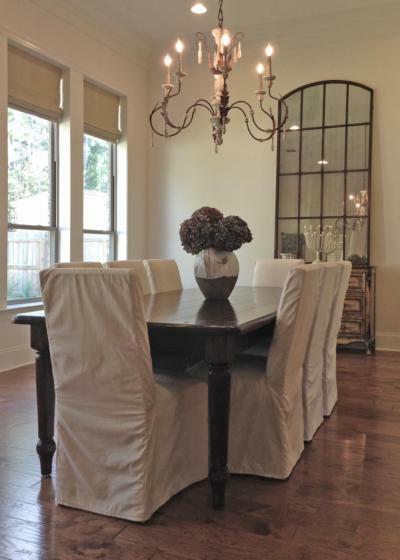 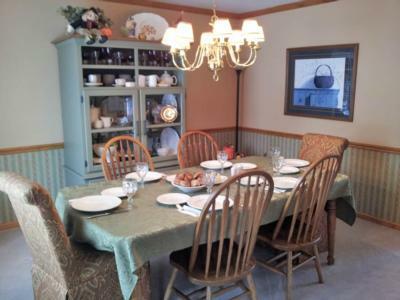 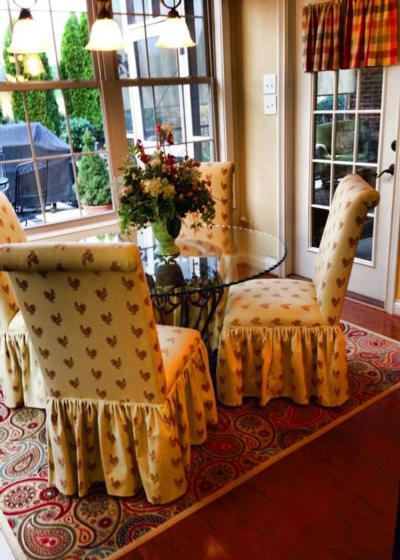 Beautiful dining room with slipcovers over the customers Straight Back Dining Chairs. 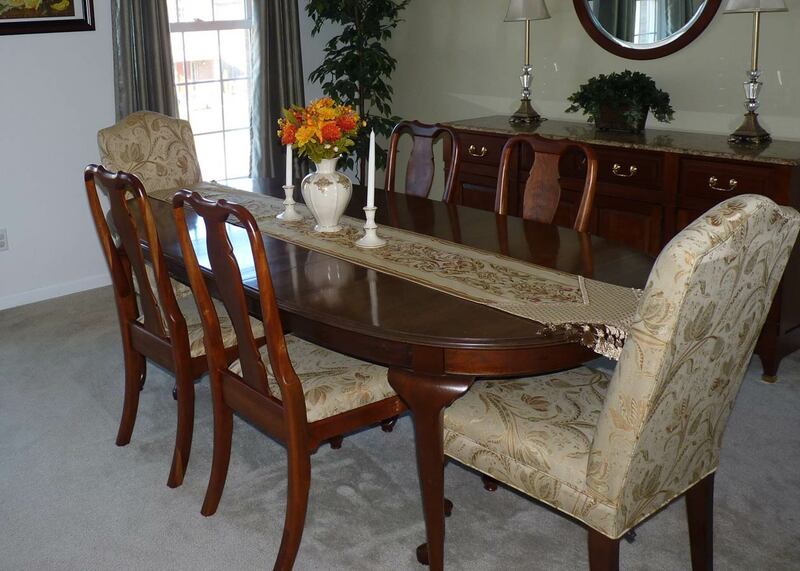 Camel Back Chippendale Dining Chairs in a simple yet elegant dining room. 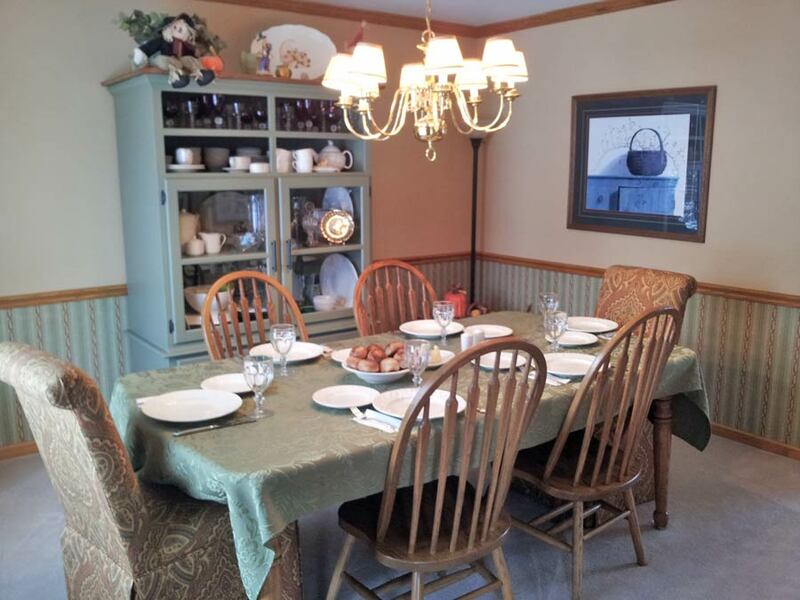 The fall centerpiece looks lovely with the Scroll Back Dining Chairs with Kick-Pleat Skirts. Scroll Back Parsons Chairs with Kick-Pleat Skirt in a cozy dining area. 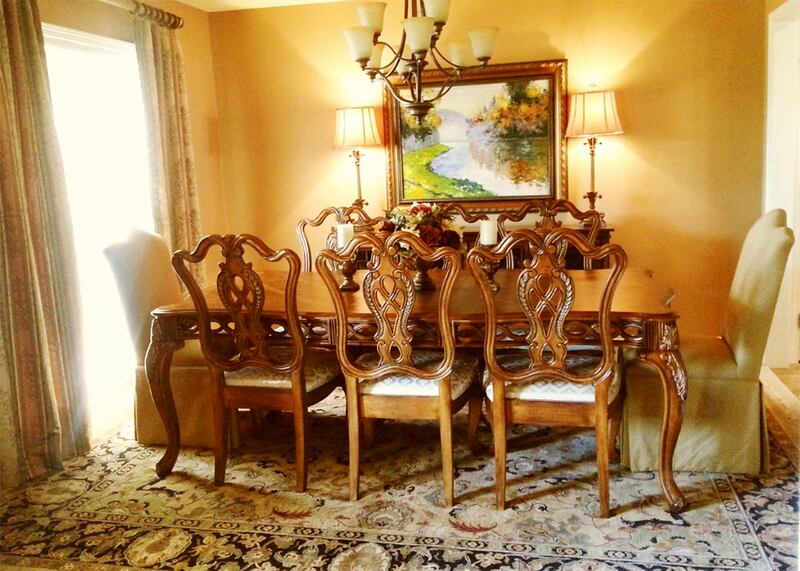 Beautiful formal dining room with Elizabeth Parsons Chairs used at the table head as host/hostess chairs. 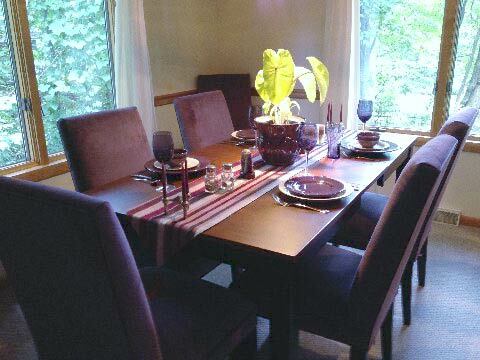 Wonderful use of purple Straight Back Dining Chairs to coordinate with the table runner and dishware. 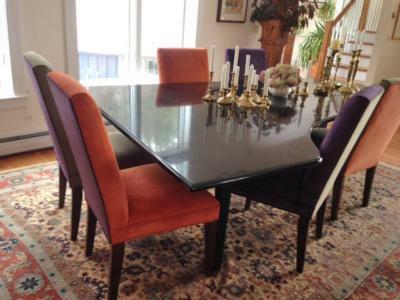 This dining room features a unique combination of seating, with 2 wood side chairs, a bench, and two Hatteras Parsons Chairs. 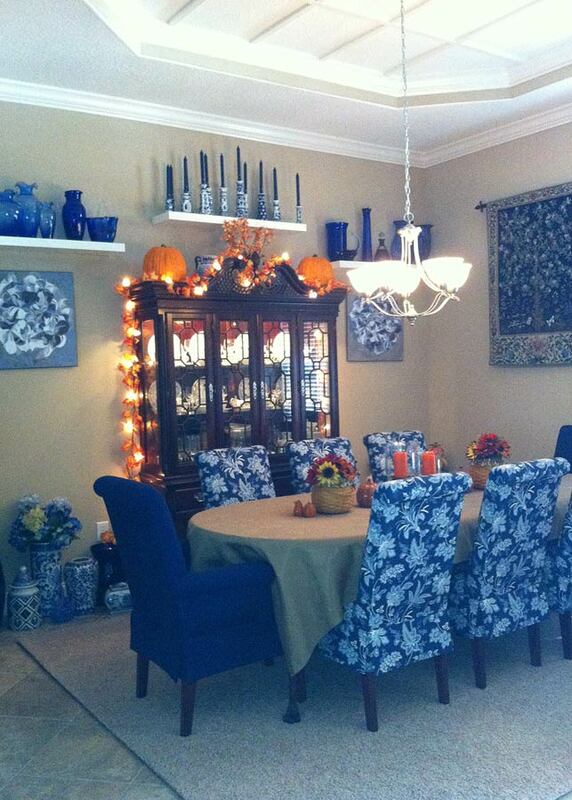 Beautiful in blue. 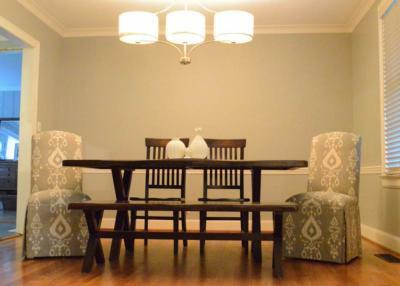 This customer has furnished her dining room with six Skirted Rolled Back Dining Chairs in Sabrina Indigo. The chairs have been customized by adding a contrasting welt. 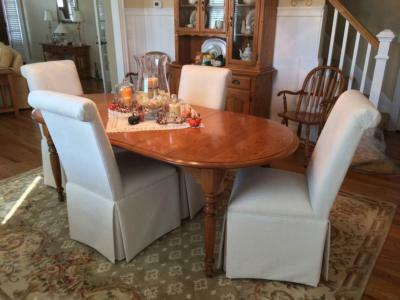 This customer used two Camel Back Queen Anne Dining Chairs in Lucie Bamboo at the ends of the table and ordered extra fabric to have the seats of her existing side chairs recovered to match. This dining room is simply amazing. This customer has a colorful combination of Straight Back Dining Chairs in various contrasting colors around a piano lid dining table. This customer has used two skirted Parsons Chairs in Faith Rouge at the end of her table to compliment her existing all-wood side chairs. 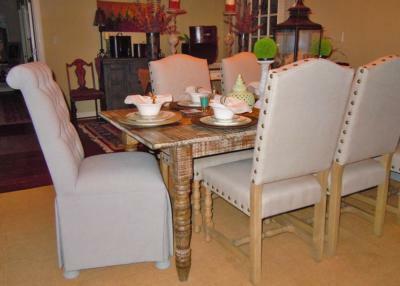 This Exerter Parsons Chair in Joan Greige makes a wonderful host chair at the end of this distressed farm table.